Tonga had the early control of the game and most the early stages were spent in their half. 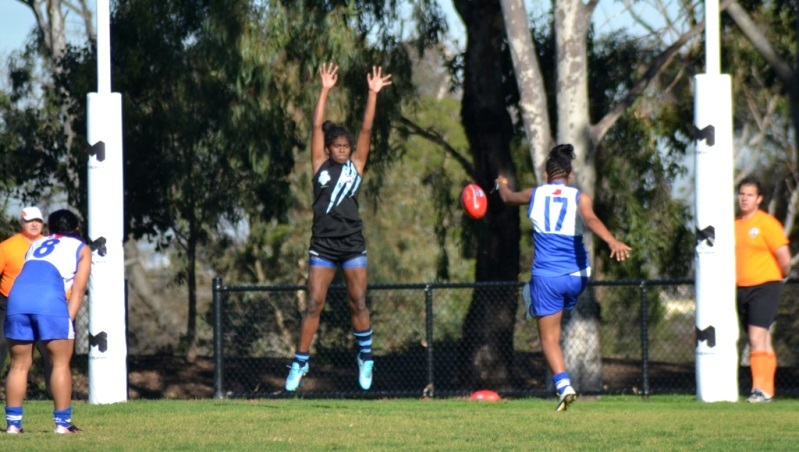 The best chance of the quarter came when #17 earned a free kick (in the back) close to goal in the right forward pocket but the kick went wide for the first behind of the match. After this even the chances at goal were harder to come by – and when #19 snapped from the opposite pocket across the face the Thunder had moved out to a 3 points to zero lead. To this stage the Tongans had been succeeding in forming a large pack around the ball – it was Rugbyesque as clean possession was almost impossible to gain. For Tonga #10 was prominent for skill and impact and #3 showed dash when able to find the room. For Fiji it was hard work and no harder than for #6 who was slow rising after a high contact. Fiji managed to worked their way into the game and attacked a couple of times late but the Tongan defence stood firm. 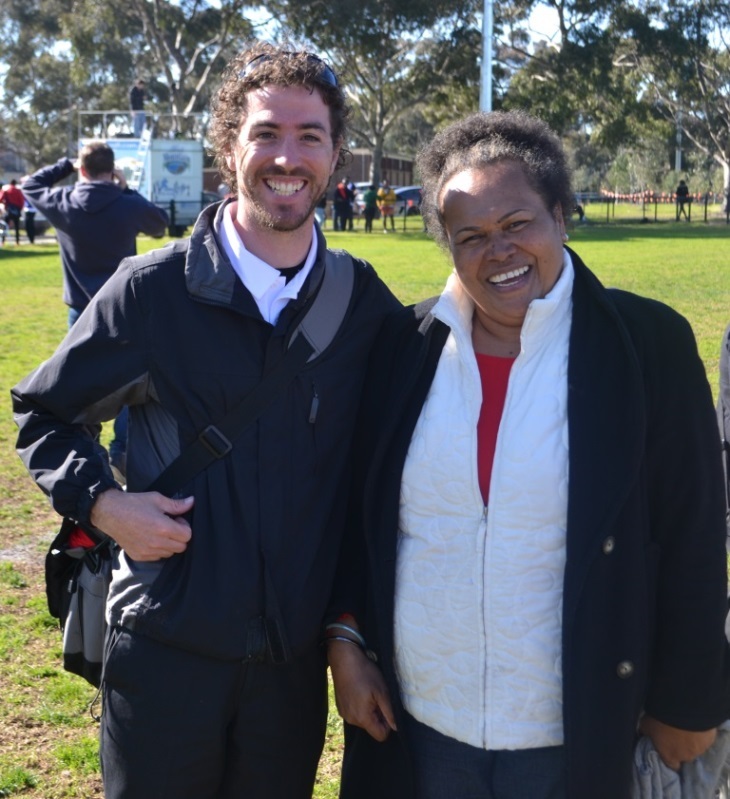 And so at quarter time Tonga retained the 3 point lead. For Vonu coach Dylan Wolfgramm he urged his team to absorb the Tongan physicality and to apply their own pressure……”pressure, pressure, pressure”. The second quarter was more of an arm wrestle than the first. Fiji won the first clearance and were straight into attack. The chance looked wasted with a free kick conceded near goal to the Tongan defence however the clearing kick was intercepted by #23 for Fiji. Lining up from a similar position in the right forward pocket to the first quarter opening shot by Tonga – the result was very similar – the kick slewed off the boot to the right and scraped in for a behind – however – the Vonu were on the board. And that would be it for the quarter. Fiji had had the better of the quarter but had less to show for it than Tonga. 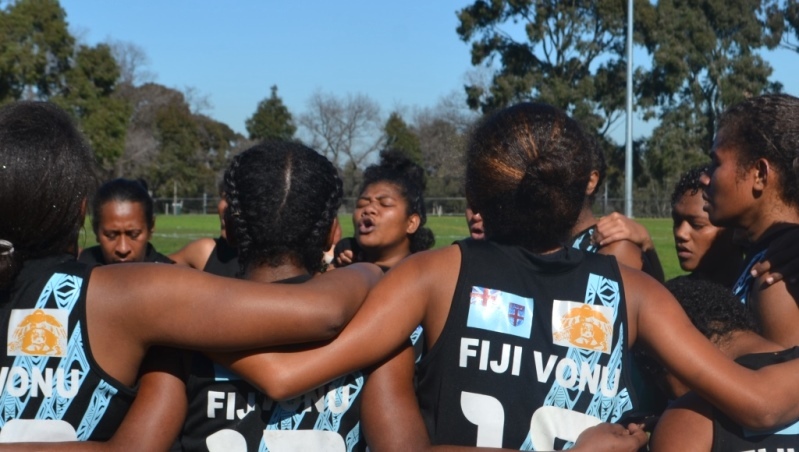 Fiji set the 3rd quarter focus to play smarter. Again Fiji attacked early – repeatedly – and over and over the Tongan defence held firm. Eventually though the ball spilled towards the goal square and this time the Vonu had the weight of numbers. Serevi was the one who got boot to ball and with the goal the Vonu had hit the front. More chances were created – but an out on the full and shortly after in Gaelic style a fisted rushed ‘own’ behind – from within heavy traffic - at least added another point to the tally. Tonga created another chance late and #24 added a fourth behind. At the final break a 4 point margin and the game most certainly still on the line – as had been the bodies in a tough encounter. Tonga would attack first in the final term but Fiji were able to draw a free in the last line of defence and from here there ensued some end to end play – if not free flowing – but hard fought. 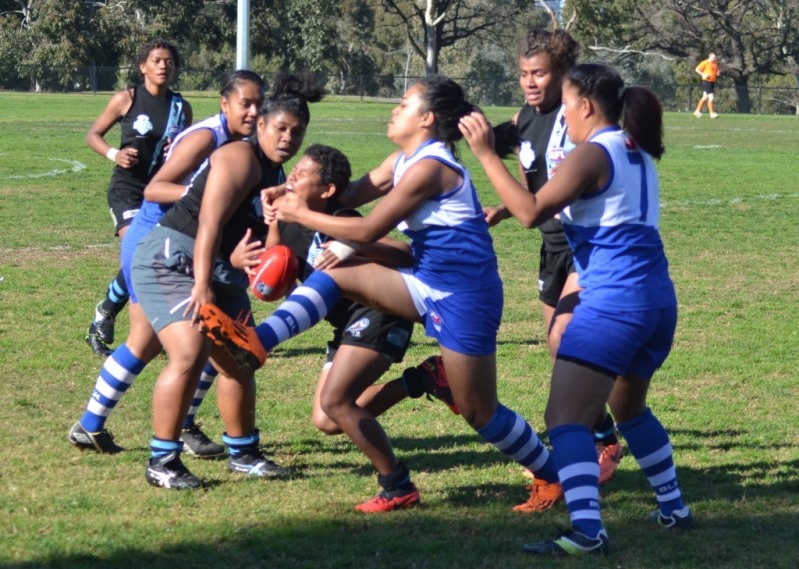 The final term was as tightly contested as those before – but when #17 marked for Tonga in the right forward pocket a good kick could wrest the lead – alas the miss provided Tonga a 5th behind and Fiji retained the lead. 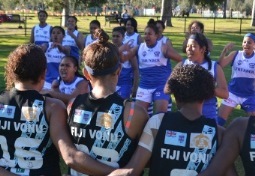 The last play of the game was a third behind to Fiji to stretch the final margin to 4 points. It wasn’t necessarily pretty but it was hard fought.